Do You Really Need Professional Duct Cleaning? When it comes to HVAC maintenance, chances are good that you remember to change your air filter and schedule your annual maintenance, and you may even contact your trusted HVAC company when something seems amiss. However, if you are not using professional duct cleaning services, you may be putting your health at risk. Here’s what you should know. Even though air moves through your ducts regularly, they still need regular cleaning. There are three very important reasons for this. Your health. 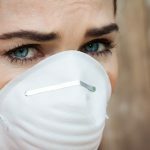 Things like dust, debris, and even dangerous mold can build up in your ducts, and failing to clean them can result in dangerous health conditions – especially for those with asthma and other respiratory conditions. Your HVAC system’s efficiency. The clearer your ducts, the better air can flow. In turn, better air flow allows for higher efficiency. When your system works more efficiently, it lasts longer. Your average cost. Professional duct cleaning reduces overall costs. Not only will you save money on HVAC repairs, but you may even save money on energy, too. When Should You Call for Professional Duct Cleaning? There are several situations in which you should call for professional duct cleaning right away. A pest infestation. Ducts are common hiding places for pests, so if you suspect an infestation, contact a professional. An inspection can reveal the scope of the problem, and a good cleaning may resolve it. You can see dust and dirt from the supply vent openings. If you can look down into your ducts and see dirt or debris, there’s a good chance that dirt and debris exists through the entire system. You can see mold. Mold has the potential to be dangerous, so you should never put off professional duct cleaning if you can see it. Strange smells are coming from your vents. This may indicate mildew or other debris, which should be cleaned right away. It has been five or more since your last cleaning. According to NADCA, or the National Air Duct Cleaners Association, you should schedule professional duct cleaning every three to five years, and more often if you notice any of the other problems on this list. Most professional air duct cleaning companies follow the same set of guidelines. These individuals use commercial-grade tools to inspect and clean your ducts based on the problems at hand. To do it, they will often cut access holes in your ducts that allow for thorough cleaning. Afterward, the access panels are sealed with plates and screws so they are airtight. These panels can be removed for the next cleaning, making the process simpler. Professionals will even clean the registers and vents in each room of your home, making them truly sparkle. Professional duct cleaning is important, and this is especially true if you or someone else in your household has a respiratory condition or other health problem. Dust, mildew, and pests can all wreak havoc on your home and health, but a professional duct cleaning company can ensure your peace of mind.